SAVANNAH, Ga. — A young woman charged with leaking U.S. secrets to a news organization told FBI agents she was frustrated with her job as a government contractor when she tucked a classified report into her pantyhose and smuggled it out of a National Security Agency office in Georgia, according to court records. Prosecutors are using Reality Winner's own words against her as they urge a federal judge to keep the former Air Force translator jailed until her trial. In a court filing Wednesday, prosecutors attached a 77-page transcript of Winner's interview with FBI agents before her arrest in June. "Yeah, I screwed up royally," Winner, 25, told the agents in a transcript that makes public the details of her confession, which prosecutors have alluded to in prior court hearings. In their filing Wednesday, prosecutors included a partial transcript of a Facebook chat between Winner and her sister in February. "Look, I only say I hate America like 3 times a day," Winner wrote. "I'm no radical. It's mostly just about Americans obsession with air conditioning." Her sister asked: "But you don't actually hate America, right?" Winner replied: "I mean yeah I do it's literally the worst thing to happen on the planet. We invented capitalism the downfall of the environment." 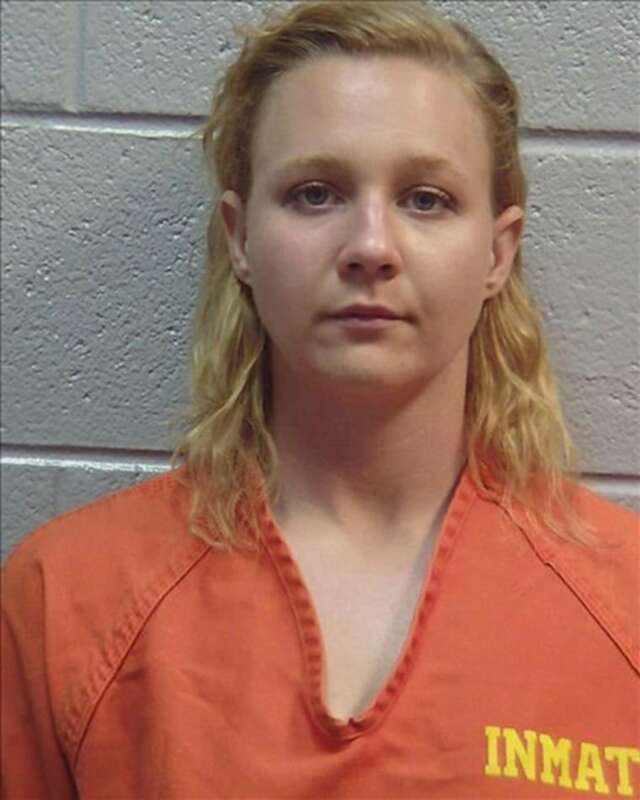 Winner faces up to 10 years in federal prison if she's convicted; she is suspected of printing a classified U.S. report and mailing it to an online news outlet. Authorities haven't described the report or named the news outlet. But the Justice Department announced Winner's arrest as The Intercept reported that it had obtained a classified NSA report suggesting Russian hackers attacked a U.S. voting software supplier before last year's presidential election. The NSA report was dated May 5, the same as the document Winner is charged with leaking. "I've filed formal complaints about them having Fox News on, you know?" Winner told the agents. "Uh, just at least, for God's sake, put Al Jazeera on, or a slideshow with people's pets." Winner's attorneys have asked a judge to prohibit the FBI interview, conducted at Winner's home in June as agents executed a search warrant, from being used as evidence. Defense attorneys say agents never read Winner her Miranda rights. She had not yet been formally arrested, but Winner's attorneys say she had every reason to believe she was in custody. The judge has not ruled on that motion. U.S. Magistrate Judge Brian K. Epps has scheduled a hearing Friday on Winner's renewed request for bond. Her lawyers say it's unfair to keep her locked up pending trial, considering Winner has no prior criminal record and prosecutors have filed no new charges months after warning Winner may have stolen other secrets. Winner has pleaded not guilty in the case. Prosecutors say Winner poses a flight risk if released and her knowledge of government secrets makes her "an extremely attractive recruitment target for foreign intelligence agencies" and others seeking classified information. First she acknowledged printing a report that "looked like a piece of history." She told the agents "I thought it would be cool if I had it on my desk for a couple of days." But she insisted she dropped the report in a bin used for papers that were to be destroyed. "I mean, I'm trying to deploy," Winner said. "I'm not trying to be a whistleblower. That's crazy." "Folded in half in my pantyhose," Winner replied. "OK. And what did you do with it?" the agent asked. "Put it in an envelope and sent it to (redacted)," Winner said. Winner said she dropped the report in a mailbox in a shopping center parking lot. Any details of the report's contents and to whom Winner mailed it were redacted from the transcript. She said she asked herself: "Why isn't this out there? Why can't this be public?" "I saw the article and was like, I don't know why this isn't a thing," she told the FBI. "It made me very mad. ... I guess I didn't care about, like, myself at that point."